90s ambient music pioneers The Orb continue their global 30th anniversary tour with some UK dates including two sold out nights at Birmingham’s Hare & Hounds. To say that 80s rock had a major part to play in the formation of 90s ambient music, the term first coined by Brian Eno in the mid seventies, is surely an oversight. 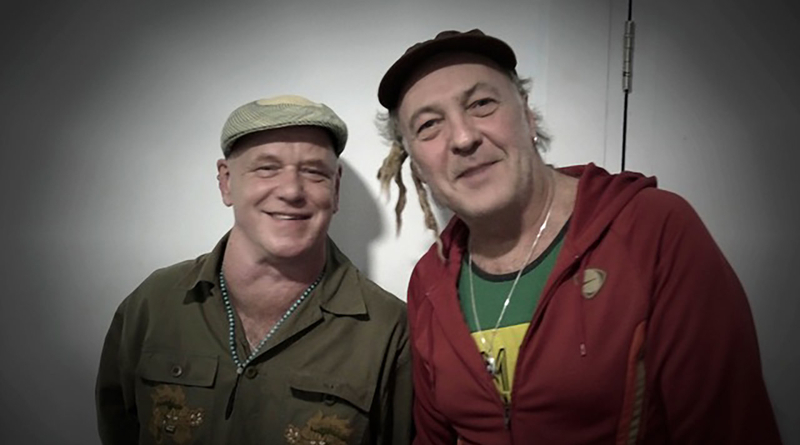 But when Killing Joke’s bassist Jimmy Caulty left the band in 1986 and teamed up with their ex-roadie Alex Paterson to form a DJ collective known as The Orb, a new musical chapter had begun. The nineties saw a mixture of albums and reviews as they started to veer away from their original psychedelic sci-fi sound, but the US seemed to lap them up with Rolling Stone citing the “uniquely British wit” of 1995’s Orbus Terrarum. That same year producer Thomas Fehlmann who had played with the group in the past became a full-time member and who along with Paterson form the current incarnation of the group. Fast forward twenty years, through various band lineups, albums, record labels and collaborators (David Gilmour and Lee Scratch Perry to name but two) and The Orb have released their 15th studio album No Sounds Are Out of Bounds in June last year as well as announcing a global 30th anniversary tour including two sold out nights at Birmingham’s Hare & Hounds on 10th March and 13th April. For your dose of classics and rarities grab your tickets here, though most dates have now sold out. A full list of tour dates is below. Music obsessive and wild swimmer. Compensating for the toil of the daily grind by living a diluted rock star life through reviewing and gig-going. Brought up on the Eagles and Fleetwood Mac and forever caught up in the myth behind the legend. Finding a voice and hoping that people will hear.